In fact, “Hell no!” was her emphatic reply when asked if she’d do things differently if given the chance during a 2002 interview with Salon Magazine. Now 52, Sinead O’Connor is more than 25 years removed from the moment that left America speechless – and yet she’s still defined by it, alternately lampooned and reviled for her actions during her October 3, 1992 appearance on Saturday Night Live. It should have been business as usual for O’Connor, who was making her second appearance on the show in two years – and for a moment, it was. Rehearsals for that evening’s show went off without a hitch. O’Connor, then just 26, ran through her performance – an a cappella cover of Bob Marley’s “War,” complete with a photo of a refugee child to be held up at the very end as the audience burst into applause. She’d changed some of the lyrics, originally inspired by Ethiopian Emperor Haile Selassie’s 1964 speech at the United Nations and meant to highlight the plight of racial inequality, to reflect that of abused youth around the world. No one at Saturday Night Live knew what she was planning for the live broadcast later that evening. 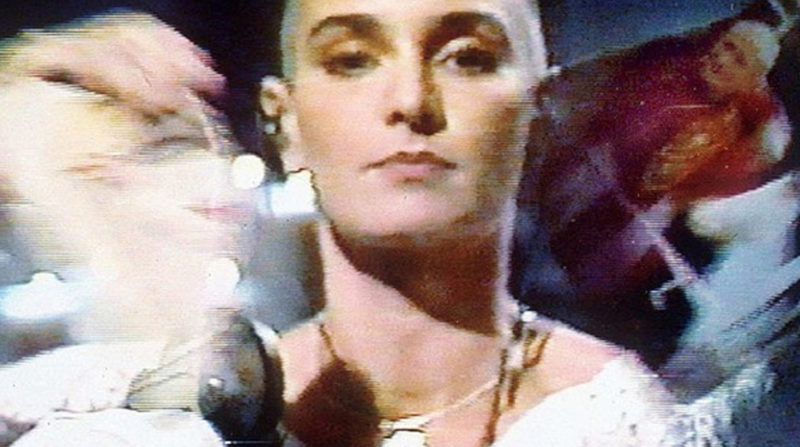 As rehearsed, Sinead performed “War” in almost breathtaking fashion, staring deep into the camera while surrounded by large, white pillar candles. The lyrics remained changed and centered around abused children, but when she held up the photo towards the end of “War,” it wasn’t a photo of a refugee child. It was a photo of Pope John Paul II. Wordlessly, and to the shock of the millions of Americans watching, O’Connor tore the photo of Pope John Paul II into pieces before throwing them at the camera with a defiant, “Fight the real enemy”. The country – and the audience – went silent. Showrunner Lorne Michaels ordered that the applause sign not be used; NBC Vice-President of Late Night Rick Ludwin “literally jumped out of [his] chair,” while SNL writer Paula Pell recalled personnel in the control booth frantically trying to decide what to do, up to and including discussing the cameras cutting away. Unsurprisingly, the backlash was swift. Actor Joe Pesci, who hosted Saturday Night Live a week after O’Connor’s appearance, displayed the same photo of the Pope during his monologue, revealing that he’d taped it back together. While he acknowledged that Pope John Paul II likely wouldn’t have taken it personally, he joked that had it been his show, “I would have gave her such a smack”. While Sinead O’Connor flatly refused to apologize or express regret for her actions, she did explain them in an interview with Time a month later. Ten years later, she reflected on it once again – this time, suggesting that it was “quite supported” and “very well understood” outside of America. To this day, Sinead O’Connor is still banned from Saturday Night Live for her performance – but she’s since asked the church for forgiveness. – Space you want, you might also need a chance to select from different genres. Cherry blossom tattoos represent something more important in different cultures. I will bookmark your blog and check again here frequently. I am quite sure I’ll learn many new stuff right here! to dentists can have these of their guest waiting rooms. It’s really a nice and helpful piece of info. I’m happy that you shared this helpful info with us. Some truly wonderful blog posts on this web site, regards for contribution. site is really interesting and contains lots of fantastic info.